Does the name sound as if the time itself was frozen, magically? Significant enough, the word refers to a new phase of matter where the arrangement of atoms is recently proven to be time dependent instead of space. Carrying this idea forward, a group of scientists at the University of Texas at Austin has recently reported this unknown phenomenon that surely opens a unique course for the physics and mystery worshippers. Conventionally, a crystal refers to repeating assorted 3D lattices like Diamond and salt. 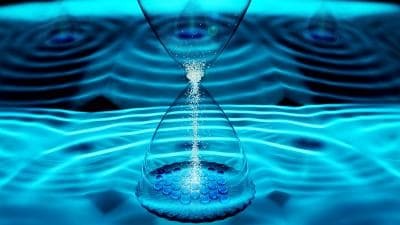 The new "Time Crystals" are time depended crystals which mean they change their order in time. A hypothetical concept of nonlinear phases associated with quivering patterns would now get a validation with the Time Crystals. These crystals never follow thermodynamic equilibrium. Being one of the first examples of nonequilibrium phases, explorers are ready to map this new found territory. According to Andrew Potter, an assistant professor of physics at The University of Texas at Austin the research is first of its kind which is theoretically driven and practically developed in the laboratory. Application wise, the lab-grown product could work as a storehouse for quantum computers, capturing and transferring information as per requirement. The university of Maryland, being another contributing institute, witnessed the first Time Crystal formation out of a triggered LASER treatment. Step by step, ions or the electrically charged atoms of Ytterbium were dealt with an electrical field that levitated 10 of those atoms on air. Then, the atoms were energized using LASER pulse that helped them to flip. After periodic rounds of LASER operation, a flipping pattern was born that repeats its order in time. A calculation preceding the experiment further strengthens their result to be true. Their report implied that the pattern flips repeated only half as fast as the laser pulses. The complete research is supported by three more institutes namely National Institute of Standards and Technology, the University of California, Berkeley and Harvard University. The idea was first chalked out by Frank Wilczek in 2012 when he used to take Physics classes at MIT. He wondered if it was possible to create a repeating pattern with changing time. With colleague Norman Yao, Potter at UC Berkeley theorized the recipe to make Time Crystals which was published in January 2017 in the journal Physical Review Letters. The full peer-reviewed journal has been published today in Nature. A second Time Crystal was also made out of a diamond one month after the current research, this time by a Havard research team.